The quietest BookExpo in memory dissipated in a smattering of slow meetings and short autograph lines well before the closing time of 5 p.m., as the chosen few New York publishing staffers deemed worthy of Chicago hotel rooms and airfare caught their shuttles to O’Hare. BookExpo America, the country’s largest book fair, conducted a noble experiment, leaving New York for the first time since 2008 even as publishers grow less inclined to spend money on booths in an age of seamless communication. BEA’s stated goal was to draw in more booksellers from the heartland. It worked, per officials, but at the cost of foot traffic from the East Coast. (Knopf touted a digital sampler in lieu of its anchor cocktail party; the show floor was 20 percent smaller than last year’s; houses ranging from Houghton Mifflin Harcourt to tiny Bellevue Press sat this year out entirely.) But those who did venture to the Midwest discovered the benefits of a slower pace and more elbow room. Meanwhile, free galleys continued to find their way into rolling suitcases, and bookseller excitement over prestigious fall novels was as high as it’s ever been. “It’s a very strong literary season,” said Mitchell Kaplan, the owner of Miami’s Books & Books, before rattling off his favorites. We’re restricting our annual list of top-ten galleys to fiction for two reasons: first, the strength of the 2016 lists, and second, the tendency of publishers to skip big nonfiction in an election year, when campaigns capture most of our fact-based attention. Cline’s $2 million book deal got the industry’s attention out of the gate; galleys displaying Cline’s ability to sustain a vivid and visceral style in the course of a long narrative are holding it right through publication. The focus — a Manson-type cult, female friendships, and sexual coming-of-age — is broad and scintillating enough to give sellers faith in its crossover potential. 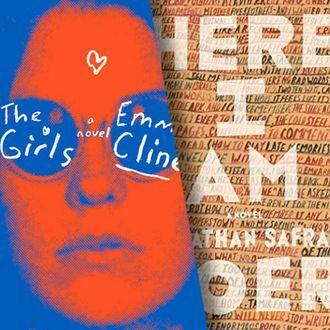 There is an accidental topicality in Hill’s debut, about an estranged mother and son whose fates hinge on two mirror-image political events — the Democratic Convention of 1968 and the Republican Convention of 2004. But beyond that hook lies a high-risk, high-reward playfulness with structure and tone: comic set-pieces, digressions into myth, and formal larks that call to mind Jennifer Egan’s A Visit From the Goon Squad and John Irving at his strangest — which explains why Irving has praised The Nix effusively. The Quebecois’s latest Chief Inspector Gamache procedural drew one of the longest signing lines at the fair — testimony to her growing reach beyond Canada, where there’s already been a movie adaptation. It helped that Penny, a speaker at BEA’s adult author breakfast, gave a very charming, funny, and moving talk about the inspector’s inspiration, her hematologist husband, and his painful recent decline into dementia. It’s hard to say whether Foer has lived out exactly the kind of career you’d have expected when Everything Is Illuminated made him a wunderkind. It’s been 11 years since his last full-length novel. Here I Am is much longer and more personal than anything he’s ever written, including the nonfiction Eating Animals. On the verge of 40, he’s ready to be a wunderkind again. There was a time (a couple of years ago) when authors dipped their toes into YA to tap into the genre’s growing audience. But it’s always been a two-way street (see Judy Blume’s adult forays). Forman’s first adult novel transposes the preoccupations of her YA best sellers — travel, romantic crisis, dreams of escape — onto the life of a married mother in turmoil. Forman’s fans, aging along with her characters, clamored in droves for her signature in Chicago. Second novels are tricky terrain, but booksellers feel that Towles has mastered it. His debut, The Rules of Civility, was well liked for its polished gloss on somewhat familiar territory — shabby-chic New York on the cusp of World War II. Here his world both expands and shrinks into the jewel box of a luxury Moscow hotel, where Count Rostov lives under permanent house arrest in the aftermath of the Russian Revolution. Fanboys and fangirls have waited years to see if a rumored new book of insane proportions by the creator of Watchmen and V for Vendetta was going to pan out. It has, and it looks like a Thomas Pynchon joint, from the semi-reclusive authorial persona to the epic length, the wild mash-up of genres and ideas (a cross-temporal wormhole tucked among the housing projects of central England), and even a lengthy catalogue blurb so distinctive it could only have been written by the author. Not unlike Foer, Whitehead was hailed as a young genius (with The Intuitionist), then cooled his heels with voice-y experiments in nonfiction and genre. But as he explained at BEA’s author breakfast, this is the book he knew he’d write when he was mature enough: a magical-realist interpretation of the slave escape route, with an actual railroad and a surrealist set of “states” that render America’s multiplicity of utopias and dystopias. Readers are primed for tragicomic stories on race and America, and Whitehead is primed to receive them. At BEA’s hype-defining Buzz Panel, Fridlund’s editor laid out the novel’s literary pedigree and the elements of its potential triumph: beautiful writing set in an eerie northern landscape; a fascinatingly unreliable narrator; a crime mystery plot revolving around child abuse; and the interplay of dark perversity and the light of love and hope. After dispensing with the big names, booksellers reached for Fridlund, this year’s great young hope of literary crime. Via collections like Pastoralia, Saunders has achieved a rare kind of fame for a short-story writer. His last book, Tenth of December, earned the lucrative Folio Prize, a cover story in the Times magazine, and a No. 2 slot on the best-seller list. Only last month, fans of his comic dystopian realism were astonished to learn that he had a novel in the works — wherein Lincoln mourns his young son in a space of Buddhist purgatory. A few short weeks later, there was the genial author himself, signing finished galleys.